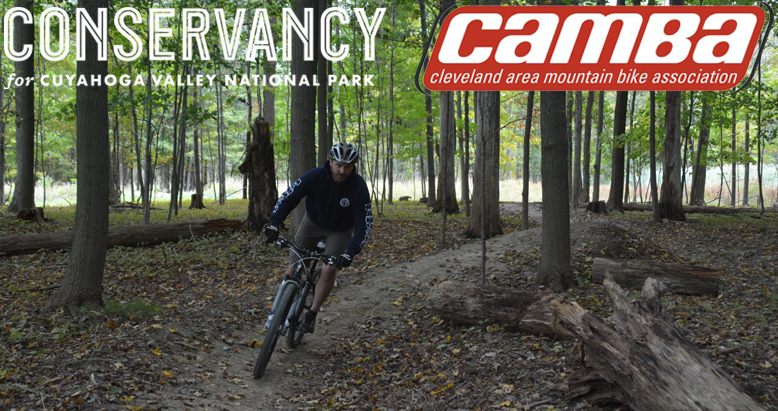 Century Cycles Blog: Give a gift to help finish the East Rim Mountain Bike Trail in CVNP! Give a gift to help finish the East Rim Mountain Bike Trail in CVNP! Sixteen years ago, a group of mountain biking enthusiasts, seeing a need for legitimate and legal off-road trails in Northeast Ohio, formed an organization that became known as the Cleveland Area Mountain Bike Association (CAMBA). Throughout these past 16 years CAMBA has been working diligently in lobbying Federal, State and local land managers to allow access to build mountain bike trails on their lands. While CAMBA has had much success in getting access and building some great trails throughout NEO, we knew there was an opportunity to build some great trails in Ohio’s only National Park. After 10 years of lobbying with the National Park Service, they agreed the time had come. Phase I of the new East Rim mountain bike trail in Cuyahoga Valley National Park (opened October 2015) is one of the best in the area. A 6.5-mile addition to the trail is in the works—but the Park and CAMBA need your help to make it truly world-class. CAMBA's partner and the park’s nonprofit friends group, the Conservancy for Cuyahoga Valley National Park, is only $10,000 away from reaching their fundraising goal to complete the project. Donations from CAMBA members and mountain bike enthusiasts like you will help close the gap. Here’s even better news: A local mountain biker and CAMBA member has offered to match every gift we receive for the East Rim Trail, dollar for dollar! Donate to the East Rim Trail project today, and your gift will have DOUBLE the impact. Plus, you’ll get a free one-year membership with the Conservancy. When it’s finished, the full East Rim Trail system will measure nearly 10 miles. Can we count on you to help create a system of world-class bike trails in CVNP?